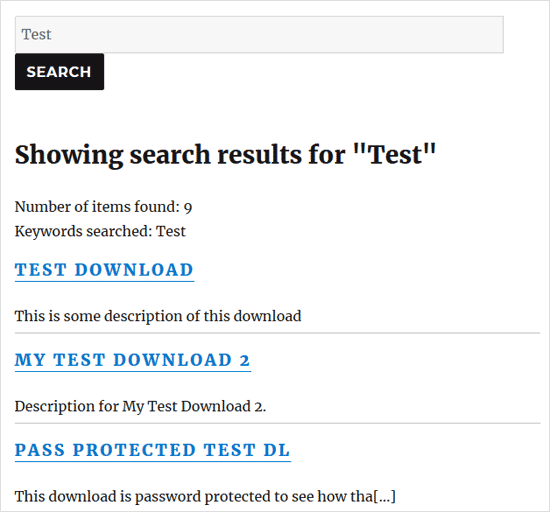 The simple download monitor plugin has a search shortcode that you can use to allow your visitors to search the downloads. This can be useful if you have a lot of download able items configured in the plugin. You can use the “fancy” parameter in the shortcode to tell the plugin to list the search result using a fancy display template. The following shortcode will list the search result using fancy display template 1.